Dieselsite 6.0L Cold Air Intake with Oiled Cotton Filter. Filter easily cleaned with popular filter restore kits. 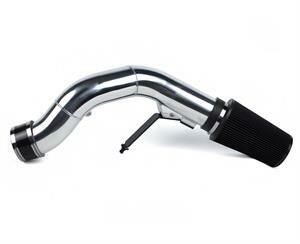 Air intake systems bring more power and efficiency to diesel engines of all makes and models. 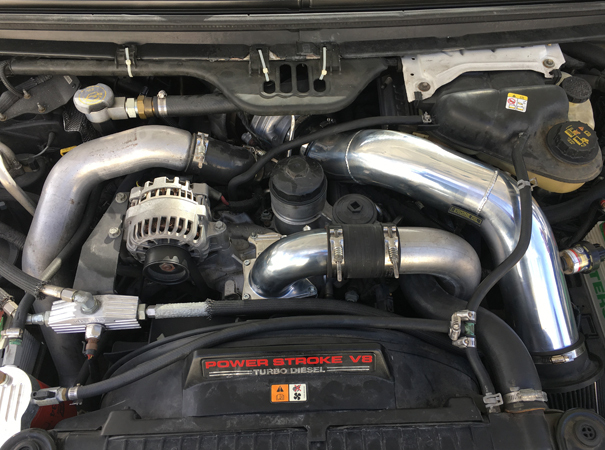 Exhaust upgrades, engine modifications, synthetic oils, special additives, and a list of other aftermarket items are added to our trucks in hopes of making them just a little faster, a little more responsive, and hopefully a little more fuel-efficient than they are stock. One area where diesel trucks can be made more efficient is under the hood. To be more specific, modifying the air-intake. When you upgrade the stock air intake with an aftermarket version there are going to be improvements. 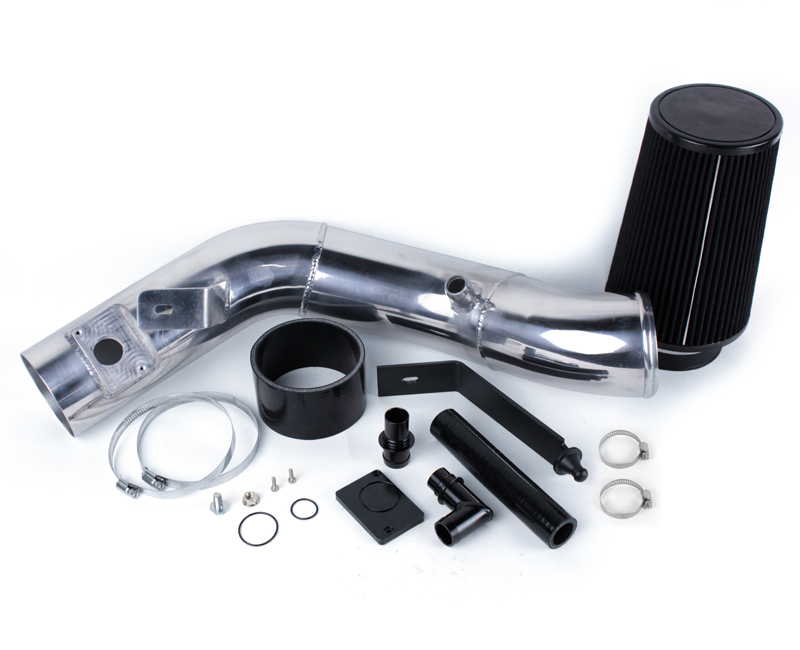 Not all cold-air intakes systems are designed equally, so some are better at the task than others. You just have to shop carefully and read the reviews and not just the ad hype. Some suppliers are great at marketing and, well marketing. The engine is going to make more power because it’s flowing more air. Period. And that air is cooler (denser) that it was with the factory set up. Another gain that’s almost always noticeable might not be as welcome to some. It’s a slight increase in cabin noise. You’ll hear the intake on acceleration. You’ll hear the throttle open and close. You’ll hear the turbo spool up and down. That’s what to expect when air-flow is increased 40- to 50-percent more than stock. *This Cold Air intake comes with MAF delete if needed for 6.0L units with MAF sensor deletes from tuning upgrades. Fitment works perfect for customers with and without MAF sensor. May We Suggest these Related Products?